.. He was first an actor, who invented a rock drilling machine. He improved on it to be able to carve wood and metal, and accidentally came upon the world of sewing machines when he went marketing to stores which sold small precision machines. 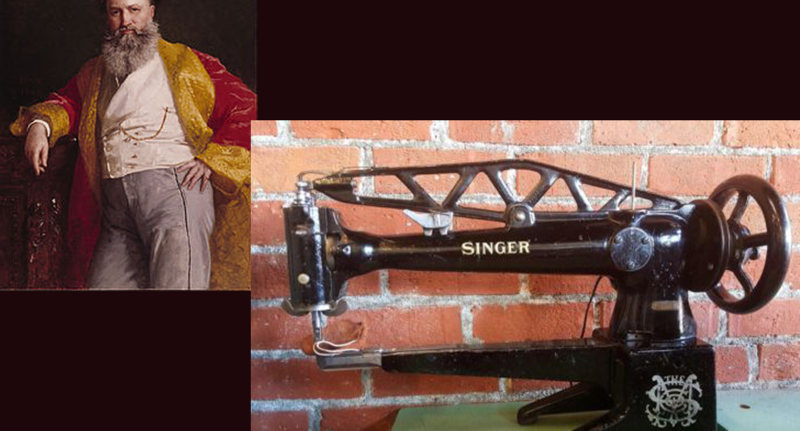 The store sold Lerocut and Blodgett machines which were similar, and Singer looked them over and thought he could make a good sewing machine. He built his based on the Howe model in violation of Howe’s patent, but was very successful in improving the design. 1856 saw sewing machine patents for many companies..